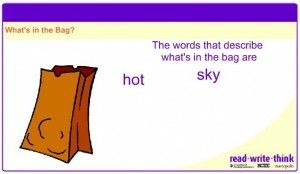 “What’s in the Bag?” is a game where students are asked to make an educated guess on what is inside a paper bag by being given three clues (visually and sometimes audibly) to analyze. Three possible answers are provided, although the teacher can opt to let the students make a guess prior to moving forward from the clues. This can also be made into a team game, where the team with the most correct guesses wins. Sometimes it is difficult to know when to add or change letters in a given word prior to lengthening it. 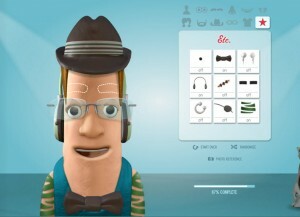 This game aims to assist in that by teaching students through fun and repetition. 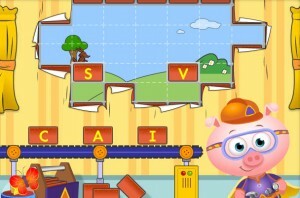 At the beginning, the game reminds players about two of the rules of word lengthening – either doubling the last letter, or changing “y” to “ie”. It then gives the option to testing for either one, after which the game begins. Students are asked to fish for the root word by using the rod that represents the correct lengthened word. If they’re able to choose correctly, the root word is “fished” successfully; otherwise, it swims away. 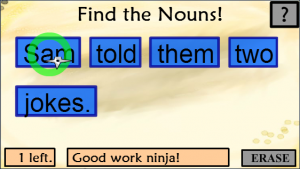 If you are looking to become a ninja at grammar, and ace all those nouns and verbs this smartboard activity will be aiming to get you there fast. Through those ninja stars at the nouns and score grammar points. 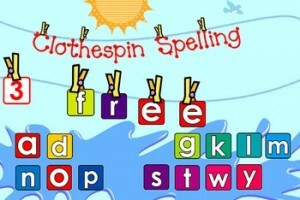 This smartboard activity lets your students drag letters up unto the clothing line. They can then form the spelling words they are studying that week. It’s a great and different way to review spelling words for the week. 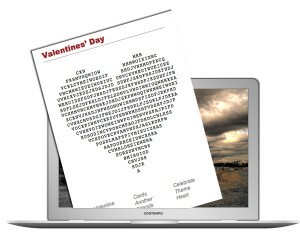 This is a free download, but make sure to thank the author of this for making such a great smartboard activity! In this grammar smartboard game, you are in outer space and you need to whack the verbs that come up. 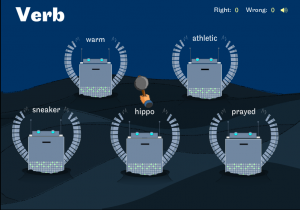 Great way to introduce the concepts of verbs to your class! If you want to start introducing the alphabet to your learners, this smartboard game is an excellent tool to use in your classroom. You need to make sure that the correct letter is clicked before the wolf gets to you. 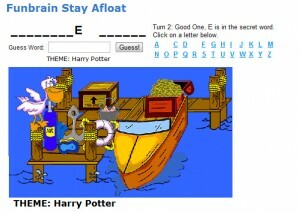 Stay Afloat is the equivalent of the hangman game. Let each team choose their theme. Then in a hangman style format see which team guesses the word without the boat sinking. Great way to get a story started. Create a character that should star in the story, and then let your class write about it. 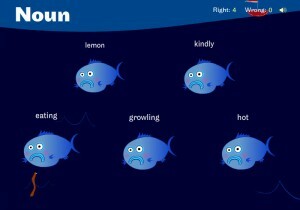 Feed the correct worm to the correct noun fish. Turn this game into a team game, by dividing the class into seperate teams. Have one team line up at the board and one team member at a time, alternating between them, feeds the fish, until someone gets it wrong.